Home > Supplements Overview > What are Licensing Laws Regarding Supplements? Most of us are relatively sure we are getting only the cleanest, freshest and most wholesome food when we purchase a cake, sausage roll or pint of milk from our local supermarket. But when we buy a nutritional or health supplement either from a health food store, online or at our neighbourhood corner shop, how do we know that it's safe to take, that it will do what it says on the tin, or even that we are getting the best quality available? In part, how health supplements are regulated depends on how they are classified. 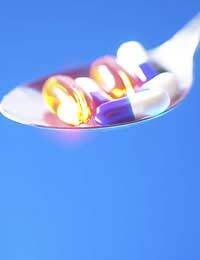 In some countries, dietary or nutritional supplements are classified as drugs. In others, they are called food. According to the Food Standards Agency, most of the products described as dietary or food supplements in the United Kingdom are classified as food products. As such, they are subject to the Trade Descriptions Act 1968, Food Labelling Regulations 1996 and the Food Safety Act 1990. It is the latter regulation which has the most effect. It mandates that it is an offence to sell any type of food that is considered unsafe for consumption, and also calls it a crime to have labelling that is either described or labelled in a misleading fashion. However, it is up to the importer or supplier to make sure their labelling complies with those standards. Furthermore, the “nature, substance and quality” of all food must meet the demands of the consumer, it states, a claim both vague and unclear. However, in May 2008, the Consumer Protection from Unfair Trading Regulations 2008 came into effect, which puts wholesalers at more risk than previously if their products don't work as advertised. They now risk statutory fines and/or imprisonment for claims that are considered unfair. That means if manufacturers of a weight loss supplement promise that consumers can easily shed 25lb a week whilst eating a full-fat diet, they can be punished. Does that Mean All UK Supplements are Now Safe, then? No. Many countries worldwide, with particular emphasis on the European Union, have employed strict regulations that make only supplements safe in both small and large amounts available without a prescription. That's because while some are safe if taken in small doses, they can be lethal in larger ones, such as Vitamin A, gingko biloba and, surprisingly, ginger. However, the UK has been the leader in voicing its discontent about such regulations, saying they restrict consumer choice. As a result, at present only supplements that are synthetically produced have restrictions on them. Others don't. Some say yes, others say it gives consumers free reign to decide what is right for them personally. However, all that is scheduled to change in 2010, when new legislation affecting licensing laws will come into effect, requiring supplements to be licensed in the same ways that pharmaceuticals are. While certain medical groups are applauding this move for health reasons, specialist health food retailers who specialise in VMS (Vitamins, Minerals and Supplements) say it will hurt their business, and drive the market into the hands of the big pharmaceutical suppliers. Always consult your GP first, especially as supplements may interact with each other or with prescribed medications. Never buy anything that advertises exaggerated claims. Scrutinise all wording carefully. Only buy something from a well-known manufacturer with a good track record. Just because something is not synthetic does not mean it's safe. Be aware that even many supplements traditionally seen as safe can be dangerous in high doses. Keep in mind that no amount of supplements can substitute for a healthy, well-balanced diet. Hi , I think it is not fair for customers to decide which company is eg. is producing the best quality/ purity, of Alpha Lipoic Acid on the market for sale presently. I think for the benefit of all , supplements in general should betested by a Gov.Dept. and given theapproval ,to be sold to the general public. ALAis soluble in water / fat. the color is slightly yellow and changes color whensoluble in water , according to one report. I think all supplements should state the correct dosage, what it is used for and the side effects if any.More information should be given with the productwhen sold to the public.A healthy nation will save a lot on the Health Service Bill.All companies making supplement should come up to the standard as the manufacturing of Drugs with Quality Control for the benefit of the consumer and value for money.